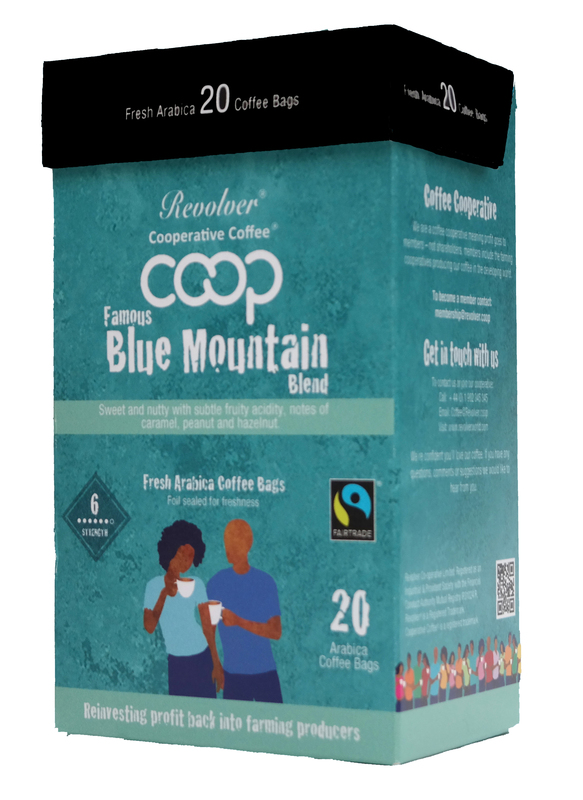 Revolver World Fairtrade Fresh Arabica coffee is now available in a coffee bag. This coffee is our premium blend of greens, blended together by our master roasters to bring you the world – in a cup. Our coffees are roasted to perfection and prepared in a coffee bag for infusion in a cup or a mug. Unlike tea bags, coffee bags need much longer in the cup. 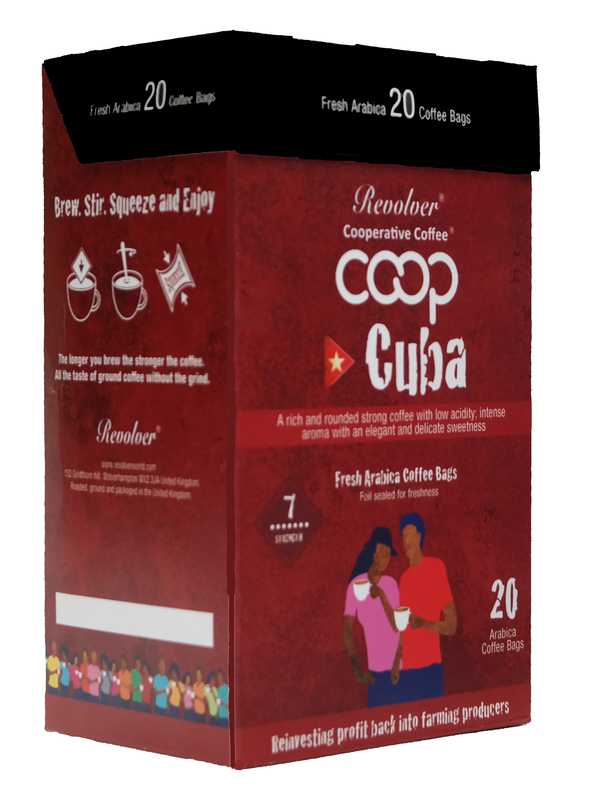 This coffee is a blend of four single origin coffees, sourced from cooperatives working hard to bring the cooperative difference to their communities. Join with us in membership of our society, and help us make a difference amongst our farming producers.